Love it or hate it, there is no middle ground for durian. For its lovers it is always delightful to enjoy it. Luckily I’m one of those lovers of this spiky exotic fruit, and I can share with you my durian story. The name ‘durian’ is derived from the Malay-Indonesian word ‘duri’ which means spikes or thorns. So it can be loosely translated as ‘the spikes’. This spiky exotic durian is the King of Fruits in Southeast Asia. You can easily find it in Thailand, Malaysia, Singapore, Indonesia, and other Southeast Asian countries. 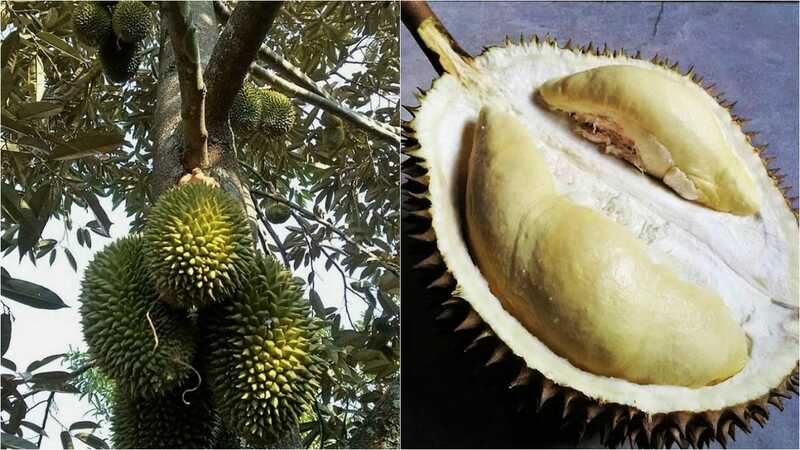 In Indonesia Sumatra is considered the durian heaven. Here you will easily find its farms everywhere. If you are lucky to visit this beautiful island around the harvest time (November-February), you can buy as many durians as you want from the local farmers. They won’t mind climbing the tree to pick one (or two or three) for you. There is a full range of flavours based on its cultivation: some are light and sweet, others are heavy and bitter, and some others have a strong acidic taste. Which one is the best depends on your personal taste. I love the light and sweet flavour such as Mon Thong (cultivated in Thailand) while my sister for example loves the heavy bittersweet flavour with an acidic taste such as Petruk (cultivated in Jepara, Central Java, Indonesia) and Ajimah (cultivated in Bogor, West Java, Indonesia). Other well-known Indonesian durians are Bokor (green skinned with a bittersweet taste), Matahari (yellow skinned, like sunshine, and with a rare spike and sweet taste), Tembaga (strongly scented with yellow flesh and a very sweet taste), Merah (yellow skinned with red flesh and a sweet taste), Si Kasur (with very soft flesh and a bittersweet taste), and many more. When it’s ripe, it has a pungent, controversial scent; one that results in a never-ending argument of opposite opinions. Be aware that a lot of hotels in Asia do not allow their guests to bring the King of Fruits into their room as the scent will stay there for days. If you insist on smuggling it into your room, you may face a fine. In some countries people are also not allowed to bring it onto public transportation because not everyone can deal with its strong scent. 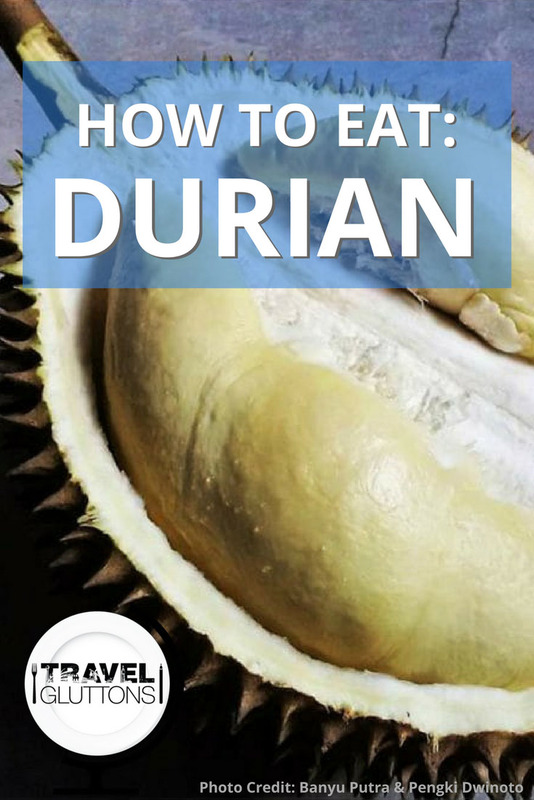 Most airlines don’t allow durians on flights. Though some allow you to do so if you package it well and spread coffee powder on the package. The coffee powder will neutralize the intrinsic scent. There are some myths about durians too. One of them is that you can get drunk by eating too much of it. But every person will have a different experience. Some people feel that their body temperature highly increases. Others feel sick in their stomach, feel bloated, and throw up. Then there are those that experience headaches. Another myth is that pregnant women should not eat this fruit because it’s believed to be a ‘heaty fruit’ and will bring bad impact to the baby. And another scary myth is that you should not drink alcohol while eating this spiky fruit because it can kill you. Is it true? Of course, I don’t know anyone who has experienced it. This spiky fruit often brings the question on how to open it without getting hurt. 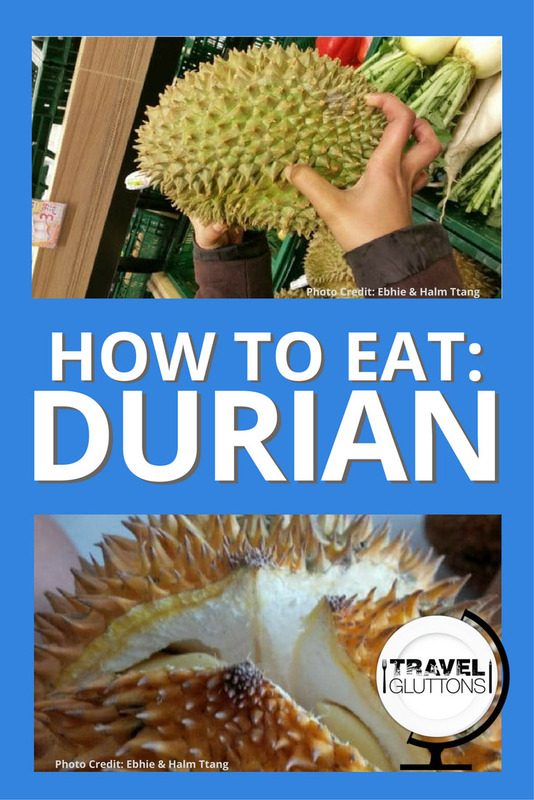 Here are some tips on how to choose and open it, so you can go to a fresh fruit market and choose a delicious durian yourself. Holding it can be painful if you don’t know how. My tip is to use one hand to hold the branch and the other hand in the spiky area. When you hold the spiky area, put all of your five tip fingers inside the curve around the spikes (not in the thorn itself). When your one hand is getting used to holding the spiky area, you can try to use both hands in the spiky area. If holding it with bare hands doesn’t work, it’s fine to use rubber or fabric gloves to protect your hands. First sign to check if it is ready to eat is the scent. Put your nose 1 cm from it, and smell it. The stronger the scent, the riper it is. Beside the scent, a ripe fruit can be picked out by sound. Some people use a big knife to slap its spiky hull. A specific sound will determine if it’s still raw or ripe. For me, I usually lift a durian and shake it. If I hear a moving sound from the seeds inside, it means it’s ripe and ready to eat. But if I don’t hear it, I’ll move on to another durian. Another way to identify a ripe durian is by checking the bottom center of the fruit. If you see it’s slightly open, it means it’s ripe. Opening it can be challenging. First step is to tap the bottom center a few times if it’s still completly closed. It helps to crack the skin and create an opening. When you see a crack, press the tip of your knife into it and then twist your knife. After twisting your knife, the crack should develop into several lanes. Just follow those lanes with your knife to open them as wide as possible, until the top of the fruit if need be. When you have at least two lanes already open widely, pull the spiky hull apart with your hand. Once it’s already open, separating the skin segments to open other parts is easy. Just put your hands on the two opposite empty segments and push it. I usually finish all the flesh first before I open another part. By doing so you’ll keep the durian fresh. Your fresh durian is ready to eat but be aware that there are seeds inside the flesh. Some durians such as Mon Thong have very small seeds but most other types have medium to big seeds inside. Best time to enjoy a durian is immediately after opening it. Durian flesh that has already been exposed for more than 24 hours will turn into watery sour and is not edible anymore. The best way to keep it fresh is to keep it intact inside its segment and make sure no air can get in. When it is intact, you can keep it for another couple of days. Another good place to keep the durian flesh is in the refrigerator or freezer. But be aware that it will “contaminate” other foods and liquids in your refrigerator with its strong scent. Don’t throw away the segments of durian hull when you finish eating its flesh. The empty segment hull will help you remove the durian smell from your hands. Just fill the empty segments with water and wash your hands in it. You can do it with running water as well. If you feel bloated after having a durian party, here’s a secret tip from durian farmers: fill the white empty hull segments with drinking water and drink it. It helps to ease the bloated feeling. 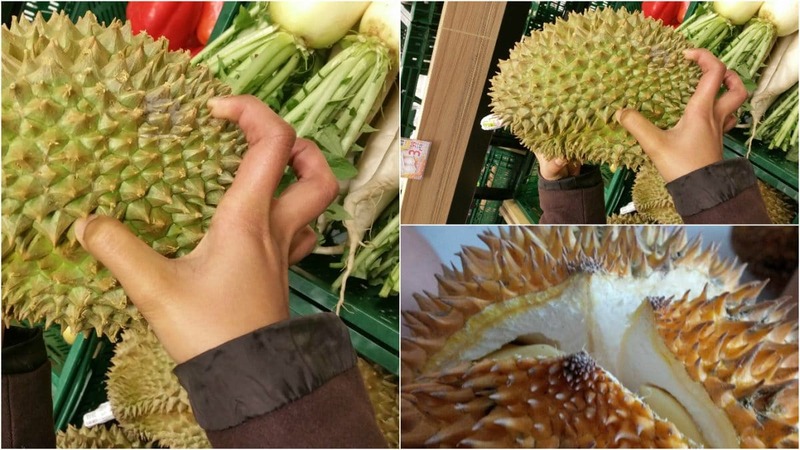 As the biggest producer of this spiky fruit, Sumatra cuisine is adapted to consume as many durians as possible. In Palembang they like to cook it into Sambal Tempoyak. It’s basically fermentation of durian pounded with red chili and red onion. They served Sambal Tempoyak in many dishes such as with white rice and fried local fish. They also add Sambal Tempoyak in a recipe called Pindang Patin Tempoyak, a kind of spicy curry with Patin fish and with a durian taste of course. 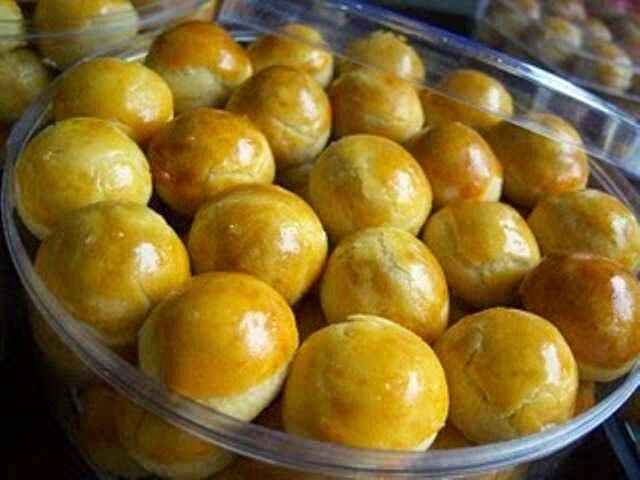 Bengkulu and Pontianak are famous for Lempok, a sweet snack made from fresh durian cooked with palm sugar until it’s thick and chewy. Lempok can be kept for months. Lampung people love to add fresh durian flesh into their hot black coffee and call it ‘Kopi Durian‘ or Durian Coffee. Medan is famous for their delicious Pancake Durian. It’s a local delicacy pancake stuffed with durian flesh. In Java, they enjoy fresh durian alone, or mixing it with fruit ice such as Es teler Durian, Es Campur Durian, or simply preparing it as delicious durian juices. 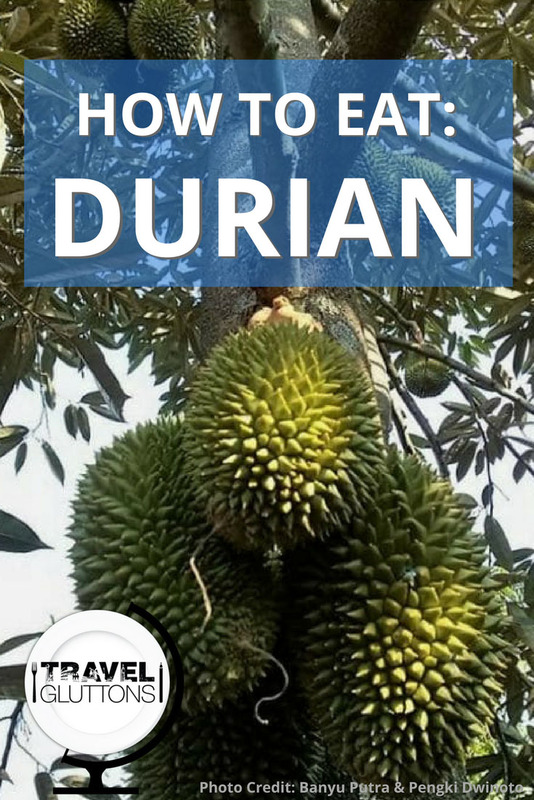 Durian can also be enjoyed as ice cream, pudding, candy, cake, pastry, cookies, and many more. So are you ready for your durian party? Nimas is a flower and cat lover who comes from the multi-ethnic country of Indonesia. She loves to travel and trying local dishes. Favourites – Wienerschnitzel, Belgian Stoofvlees, Dutch Pannenkoeken, and Rendang from Indonesia. 4 Responses to "How to Eat: Durian"